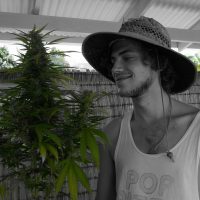 Heard about the best Aussie invention since the bucket bong? 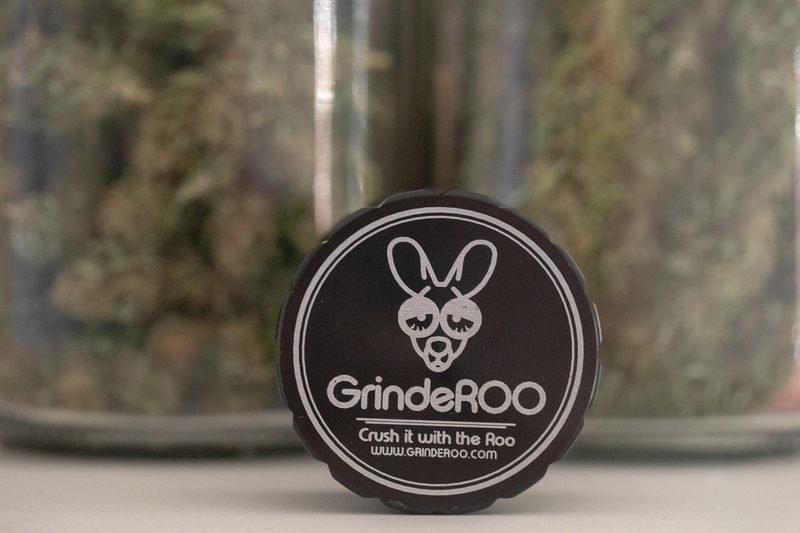 We recently copped the GrindeROO 4-Piece Premium Herb Grinder and have been chopping it up ever since! Read the review below. Herb grinders are an amazing way to break down your weed to consume through a bowl, paper, or vape, but the extreme price tags that are associated with some of these ‘top shelf’ herb grinders can sometimes set you back more than your weed would! Buying a grinder shouldn’t cost you an arm and a leg. When you think about how much a decent salt and pepper grinder costs you can see how ridiculous the markup on some of these grinders is. Due to the markup that gets tacked on the top of most products in the cannabis industry (think stash jars, pipes etc.) these grinder companies are able to get away with charging $100 for something that costs $5. That was until the GrindeROO came along. We recently received one of these in The Green Box subscription box and have been having an awesome time breaking down our herb with the Roo – this thing crushes it! Equipped with two different types of teeth, the GrindeROO has been optimized for crushing sticky green without getting stuck together. The stainless steel coating on the bottom aluminum-alloy teeth ensures that resin and herb particles aren’t sticking to the exterior, while the black zinc alloy teeth on the underside of the lid are optimized for crushing tough chunks of herb. 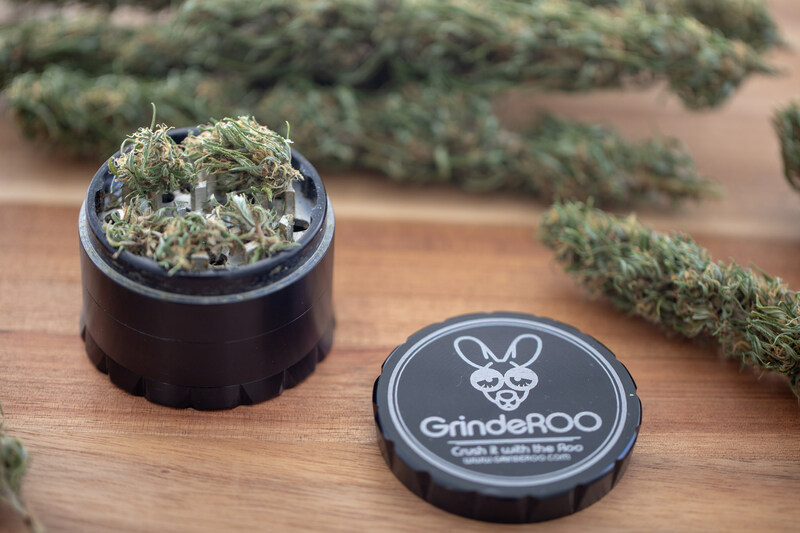 If you’re looking for a herb grinder that can crush huge amounts of herb at a time, you’ve met your match with the GrindeROO 4-Piece grinder. The Roo has a 63mm diameter, enabling you to get a steady grip whilst crushing. 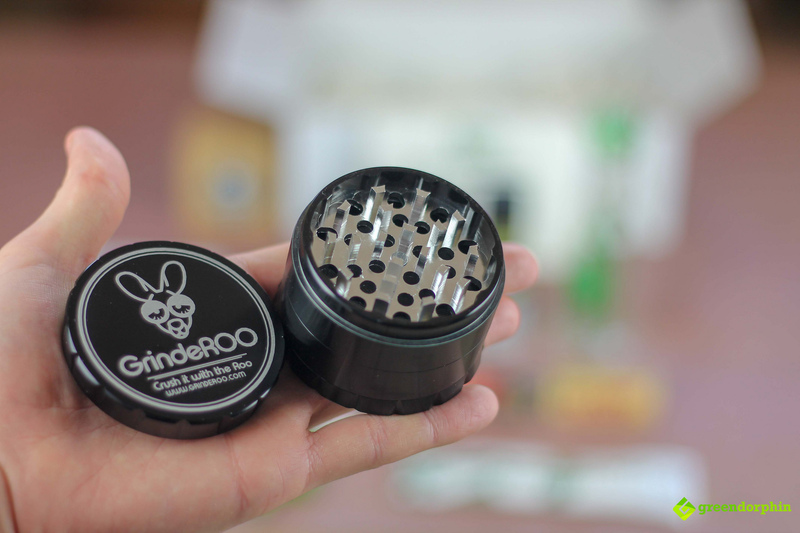 The GrindeROO’s top-cap has been designed ergonomically to fit between the grooves in the fingers so that you can maintain a Tarzan-like grip while breaking down your weed. While the Roo is easily capable of breaking down whole herb, if you’re looking to get the best flavor from your bowl or minimize the risks of paper-poke, it’s best to remove the sticks and stems first. If the herb that you’re grinding has been dried and cured properly you’re going to get a consistently perfect medium-fine grind that is ideal for joints, bowls, and vapes. As with all herb grinders, when using herb that is too moisture-rich it can sometimes be a bit of a struggle to get a grind on. In this case, it’s recommended that you use less herb to start with and grind away a bit at a time as opposed to a whole nug. You can easily keep up to 1/16th of an oz or 1.75 grams of ground herb in your airtight GrindeROO at any time without losing potency. If you’re a trichome head that loves collecting kief pollen off your buds, the GrindeROO’s double-width micron screen is a kief collecting machine! While the kief collected wouldn’t be as potent as the minute amount you collect from a 48u micron screen, the larger trichome heads are great for pressing hash or topping off a bowl. I recently tried to press some rosin using kief that I’d collected from my GrindeROO and the results were awesome. 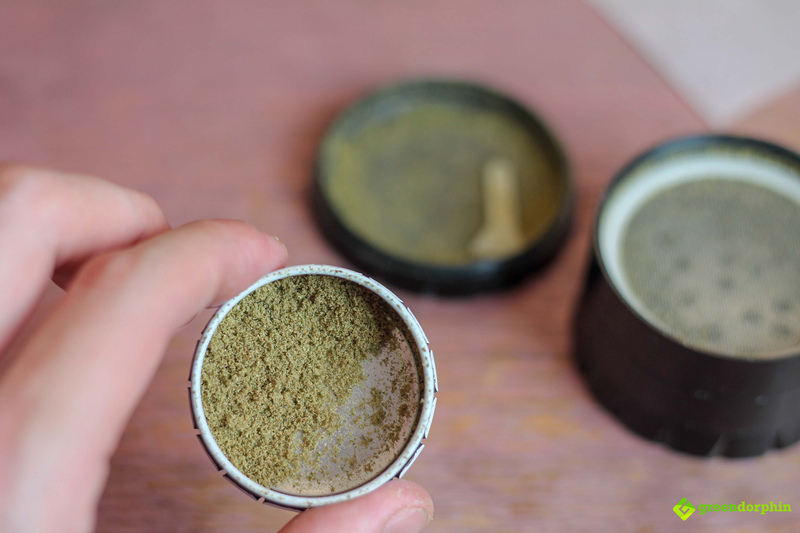 One gram of kief got around a 40% kickback which is great because of how quickly it took to collect. 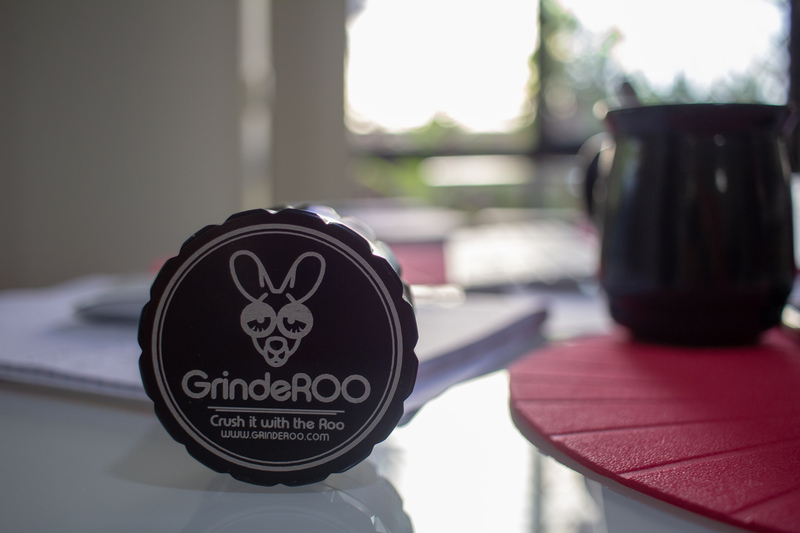 At the time of this article the GrindeROO comes in at a mere $29 and is shipped for free around the world. If you’re one of those people who are still using scissors or a coffee grinder to chop up their weed, do your herb a favor and crush it with the Roo! 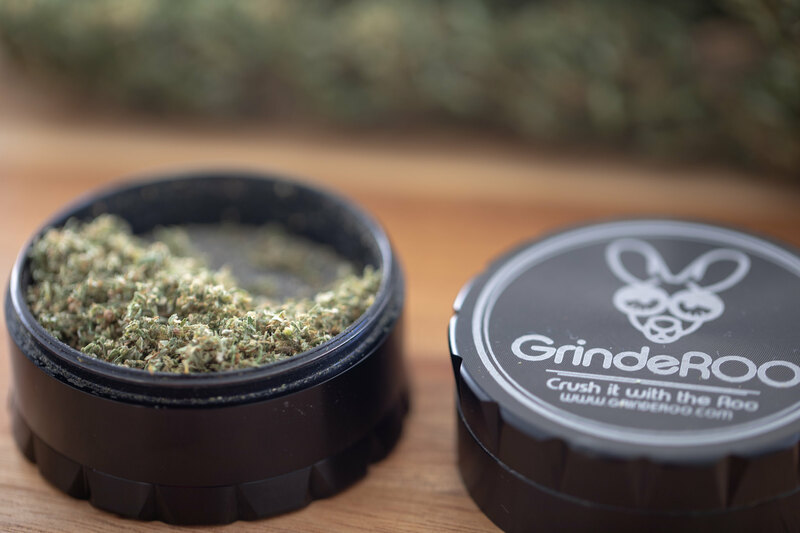 Score your own GrindeROO 4-Piece Premium Herb Grinder here.